Have you heard that name? Undoubtedly, if you haven’t, you just may this month. For this month is National Autism Awareness Month and Temple, who is a successful businesswoman, educator and speaker, also happens to be one of the most famous folks with Autism in today’s world. She has authored a number of books, had a movie made about her life and continues to inspire scores upon scores of people touched by knowing (or being) someone on the Autism scale. I am one of those people. For years now, my family has been on a journey to discover what makes my neurologically atypical son who he is and how we can most effectively help him to become the best individual he can be. Our journey has found us at a number of physicians’, specialists’ and therapists’ offices, trying to discern correct diagnoses or deal with specific challenges. It has also found me scouring the library and Internet for information and support, while becoming more and more connected to folks in “autism circles.” Although my son has yet to be formally diagnosed as an Aspie (Asperger’s Sydrome), his profile is heading us in that direction and the strategies we use to help him meet (and overcome!) the sensory and behavioral challenges he faces are the same ones many families with Aspie’s use. After reading Temple’s most recent book, Different…Not Less, which I reviewed recently at our family blog, Training Happy Hearts, and spending a date night cuddled with my husband in bed watching the movie Temple Grandin, I was enormously excited to attend a local Autism and Asperger’s Conference last month where Temple, her mom, and several others presented. Now, this month, I’m eager to attend the Nourishing Hope mini-conference that is coming to the Boston area (or Mansfield, to be more specific). At it, I look forward to learning more about why food affects children’s minds, bodies, and behavior and what I can do (or continue to do!) to help my son. Since January, our entire family has been on a gluten/casein/dye/preservative/additive-free diet and have, thus, witnessed marked improvement in my son. We have also found that although the diet seems limiting, it is actually enriching. My husband has lost weight and felt vitalized. My daughter has been making some better eating choices. My youngest son has not been showing any of the aversion to fruits and vegetables that his siblings began rebelling with at meal times at his age. And, I have been enjoying trying out recipes from Kim Wilson’s e-cookbook Good and Easy Eats, which I talked about here, as well as from the print cookbook by the same author, Every-Day Gluten-Free, which I reviewed at our family blog. So far, the challenges of choosing a different diet have been more than compensated for by the pay off. So, I cannot wait to go to the Nourishing Hope conference to learn about what I might add to or wean from our current menus in order to feed my family in an even more effective way. Truly, I feel blessed to live in this area where there are so many conferences, resources, physicians, specialists, parent groups, etc. that specialize in Autism, Asperger’s, ADHD, Sensory Processing Disorder and other neurological variances. As the news splashes headlines that include Centers for Disease Control statistics which read, “1 in 88 children in the United States” and “1 in 49 children in New Jersey” have been identified as having an autism spectrum disorder (ASD), I thank my lucky stars that I am not parenting my special child back when Temple Grandin’s mom began her family’s journey with ASD. 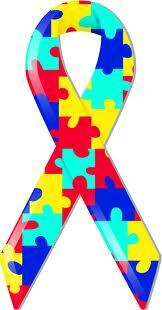 At that time, few knew about Autism and related disorders. In fact, Temple’s mother was advised to relegate Temple to an asylum. Can you imagine? What I can envision is an ongoing positive outlook at what is and what can be. Please, whether you have a child affected by ASD or not, consider picking up a book, watching a video or attending a conference about the topic this month. If statistics are any indication, your life will undoubtedly be touched by someone on the spectrum at some point in the future. Fortified with awareness, that moment can be a memorable one. If you need recommendations about books, resources, etc., please do not hesitate to request them in a comment. While I am not expert, I am a parent on a journey – perhaps even a mission – that has a bookcase and a computer cache full of titles authored by esteemed authorities and might be able to guide you to one that would best speak to you. Thanks for letting me know about the Nourishing Hope conference next weekend. There’s a change I might be able to make it for a bit. It would be great to meet if I get there! So glad to hear your are enjoying my recipes and your whole family is benefiting from the changes. Thanks for letting me know about the Nourishing Hope conference next weekend. I’d love to be able to catch it. We’ll see! My younger son is “Asperger-ish”. I don’t say that to make light of the diagnosis, but because he has many characteristics and receives treatment, strategies, and resources that are also used by many children and adults with the diagnosis. I truly enjoy the works of John Elder Robison, including “Be Different: Adventures of a Free-Range Aspergian”. Not diagnosed until well into adulthood, he has a remarkable ability to explain his view of the world, while also pointing out the strengths that come with that diagnosis and has some really practical tips. He also has a blog http://www.johnrobison.com. John is from western Massachusetts. I also like the books “Reflections from a Different Journey” which is written by adults with disabilities (multiple types) about what they wish all parents knew and “When your Child Has a Disability” by Mark Batshaw MD. Again, not specific to children with ASD, but useful. Ironically I came across both of these books in a class about families of people with developmental disabilities, before my son was even born. Thank you for the resource ideas, Sheila, and, Kim, would love to meet you in person sometime.